This article describes how to create the backup of IIS Web site, application pool and configuraion and restore them on another server. This guide will help you to create your own plan of emergency recovery for IIS-based websites, migrate the configuration and websites between the servers or add a new server to the web farm. We’ll show how to create a backup of IIS configuration on one server and restore it on another one. Copy the backup folder to the same directory c:\windows\system32\backup on another server. As we can see, the backup we have copied has appeared in the list of available backups. 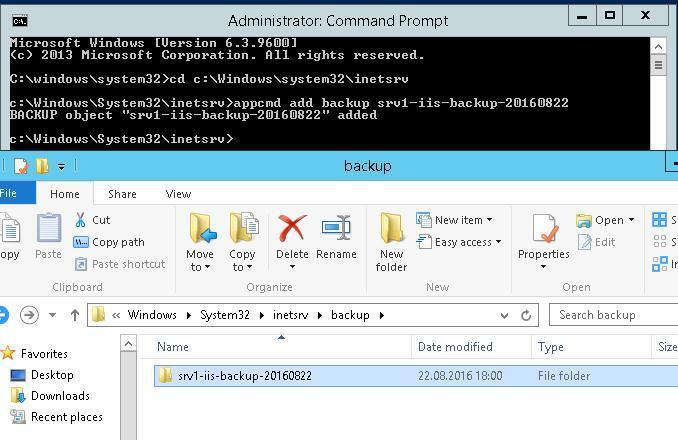 The string Restored configuration from backup “srviis1-backup-20161107″ means that IIS configuration has been successfully recovered. Note. 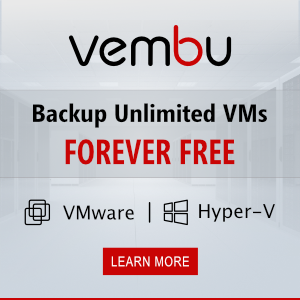 There are entries like BACKUP “CFGHISTORY_0000000001” in the list of available backups. These are IIS configuration backups created automatically and located in \inetpub\history. Automatic backup has appeared in IIS since IIS 7: the changes in ApplicationHost.config are being monitored, 10 latest backups are stored and the file is checked for changes every 2 minutes. The list of restrictions and important issues. Thank you for writing this. Depending on user needs for ongoing IIS and SQL Server configuration remediation, rollback, backup and recovery, a commercial solution like Orcaconfig may make sense. Orca takes configuration inventory snapshots (every few minutes or so) and stores the current configurations of the Production environment. In a recovery or disaster scenario where you lose access to Production and need to fail over to DR, your Production configuration settings already stored automatically.